Austrian company IMMOFINANZ, leading real-estate investment and development company in Central and Eastern Europe, opened on the 19th of April its fifth STOP SHOP retail park in Serbia, located in the town Požarevac. The new retail park consists of approximately 7.200 sqm of retail space, housing 16 retail units and offering over 330 parking spaces. The retail park was developed on an excellent location, on Đure Đakovića Street and has direct access from the main highway. The project represents an investment of approximately 10 million EUR . Its 16 retail units are occupied by famous international and local brand names, including Reserved, Sinsay, LC Waikiki, CCC, Deichmann, Takko fashion, DM, Sport Vision Extra, Planeta, N sport, Lilly, Trefolino, TOP SHOP, Café Aroma, Panter and Hedonizmus. At the opening ceremony representatives of IMMOFINANZ held a speech with Bane Spasović, the Mayor of Požarevac. 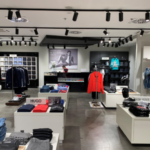 "Since entering the Serbian market in 2015, when we opened our first STOP SHOP retail park, we continued to rapidly expand across the country due to a high interest from our partners and international retailers. STOP SHOP Požarevac offers a unique, efficient and pleasant shopping experience for the whole family. 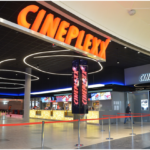 It is an ideal place for the so called "smart shoppers" that value easy-to-reach locations and a diverse tenant mix that allows them to find everything in one place". "I would like to thank IMMOFINANZ for their trust and high professionalism. It is an honor that such a successful company has decided to invest in Požarevac. STOP SHOP has increased the retail offer of the town, introducing new international brand names to its citizens and giving them an opportunity to shop at affordable prices". Aside from Požarevac, IMMOFINANZ currently operates STOP SHOP retail parks in Serbian towns Čačak, Niš, Valjevo and Lazarevac. The five existing locations in total offer approximately 43.000 sqm of retail space. The next STOP SHOP retail park in Serbia will open on the 26th of April in the town Vršac, while another Stop Shop is being developed in the town Sremska Mitrovica. STOP SHOP is IMMOFINANZ s retail park brand in the Central Eastern Europe (CEE) region. Envisioned as regional shopping centers, STOP SHOP retail parks are situated in prime locations with catchment areas of between 30,000 and 150,000 inhabitants. At present, IMMOFINANZ operates 70 STOP SHOP properties in eight countries: Austria, Germany, the Czech Republic, Serbia, Croatia, Hungary, Poland and Romania. The retail parks in total offer approximately 484.000 sqm of retail space, which is according to its representatives fully occupied.